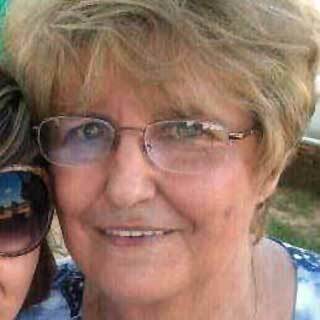 Linda Gale Reed, 65, was last seen on security footage leaving a Walmart in Mississippi around 9:30 p.m. on April 29, 2012. She has not been seen since. Linda went to Walmart in Hazelhurst to pick up some things and then told her coworkers that she was heading back to Walmart because she forgot to pick up some thing, the first time she was there. Coworkers at Moore Fabrications, a metal fabrication plant in Gallman, found the parking area locked from the outside of where Linda has her trailer at the plant. So, they know she never returned from her trip to Walmart. Linda's SUV was found in Crystal Springs in the woods off the side of I-55. Inside the car was her purse, credit cards and about $60.00 cash. They also found a tooth from partial dentures that she wore. A blanket was found outside the car along with Linda's cell phone and her reading glasses. There was no tire tracks beside her cars and no sign of a struggle inside the car o out. If you have any information about the disappearance of Linda, please call1-800-CRIME-TV. 15TH MAY 2012 6.41 pm. There are many requests at the current time but I am going to look at Tarot for Linda as per the request below. All other requests for other missing cases WILL be answered. I try to do these daily or every other day. Meanwhile, Linda disappeared on 29th April 2012 and having gone to Walmart has not been seen since. Linda's vehicle has been found and this may show in the Tarot however, Tarot MIGHT be able to provide some possibilities which will be inclusive of past present and future trends. There are no guarantees with Tarot but often it provides helpful clues. Please read all the important information on this blog so that you UNDERSTAND how Tarot works. Also referencing factual sources is always recommended as Tarot is not considered to be 100 per cent accurate by law. Tarot tells me that 'going to shops' is abandoned. Money is not being spent in this particular card but it is showing somebody around the age of 32 or a little either side of that age somewhere in the picture. This card shows that she is insecure both health and otherwise and obliterates the 'shop' theory. This lady is apparently 'chucked out' and that might be out of a property or car. Burglary and theft are prominent here and a male who could be foreign in culture might appear here. Whether there is anything captured on camera I am not sure but all cameras should be checked. I am seeing a building or property which might be works property and I note Linda's trailer is connected to her work? There seems to be something 'unsatisfactory' about work in this card and some kind of 'shake up' ?? Did anything happen at work that worried or threatened Linda's security OR it could suggest someone else at work that found a situation unsatisfactory or a problem? I am sensing a TRAPPED feeling in this card. Its difficult right now whether this is how Linda feels or whether this is relating to someone else or that someone else has made her feel this way. Is someone feeling that they work hard for not enough pay, or was money owed here. Thieves can come into this card and breaking in somewhere. This card is a NORTH card as a rule but I may have a connection to South East. Also Im wondering if there is a kind of connection here to someone at work? I only say this because someone who is dark in complexion, with horrible hands and maybe dark haired rugged type prominent lips here who is showing some kind of concern. Theres some kind of need here to make quick cash. I dont know whether its to do with Linda herself or not but it seems to show. There is also a bad businessman here . Usually on these cards a farmers field can come up but so can school names and untenanted properties (meaning no one is in them). Barns or buildings single storey can show up here usually not in a housing estate. I keep wondering if its something to do with where she lives that has come up as a problem? Anyway here is a number 7 which may or may not be useful for route distance or some other reason. Cellars and basements can come up here too and working environments. Was she asked to leave her home? a G does come up in these cards so does a 'bank' whether in financial bank or word bank or riverbank. Looking to possible location ideas. This is a very difficult card to describe location but the main thing about this card is the word METAL - has anyone looked around the place she works or does it have an underground or basement or are there any areas there that have not been searched? represent a car but also car parks. It represents water names and debris, rubbish, tips, quarries, scrapyards as other thoughts. Has the surveillance taped been checked, there might be something else on it. Im seeing something about a black banner here. Im seeing her feeling trapped but its difficult to describe exactly where. Im seeing someone squat, broad forehead, dark complextion just as I did in the first card. Large body, dark and hairy? Face square or broad with dark eyes. Direction North East or that this direction can come up. Water also comes up here, cellars, basements, stagnant ponds, water names, drains, tunnels, clay ? Bogs and marges, damp and decay mostly. North facing sunless walls. I will see what Dee can get on a map and have a look at it. Could be an old building near water, or underground somewhere, ice, snow ? or somewhere cold. A vehicle can show in this card but I cant be sure its pointing to an actual vehicle itself. There may be a church name or the name Bishop or something like that? This card shows someone being stuck in the past so it must be somewhere Linda is familiar with? or somewhere she had been OR is connected to? there seems to be a feeling of threat here or concern. There might be 'black mud'? There may also be fingerprints or footprints that need to be checked. I am getting something about a 'diamond' ? I am seeing darkness. Temperence can suggest eating drinking and food, like restaurants so perhaps between work and the supermarket is where she is? I cannot be sure the number on that card is 14 which makes 5. This can also give us church names or a spiritual element. It can also point out schools or colleges or just names of roads . Again I will need to look at a map. Someone might be called Michael? Water comes up and oil. Mechanic? I can smell toxic fumes. The word 'Black'. Maybe the metal is railways? I cannot be sure. The letter D. Something Blue. Masculine male energy permeating. Number 24. I wonder if she is underneath something? possibly something about a man, maybe a boss or some other male. Criminals and their refuges can come up here. This card is generally West it is a water card. It is a number 8 card, which could suggest 8 days from Tarot being written but 8 is possibly important as a number to be found whether in distance route or otherwise. This card is North West so we need to draw a map to see what is in the directions mentioned. This card is water, ocean, sea, or names that relate to water. There may be water retention here or being near or in water or in a vicinity where there is water as this card shows also a lack of vitality. Fishponds, rivers, springs, watermills, water pumps, wells, marshy or watery ground, moats, springs, the ocean, and all places near to water inside or around the house.Church names, retreats all come up here so can spiritual matters and drains. I only have an 8 on this card to help as to whether Linda will be found and North West. There may be electrical pylons in the area this is possible. Trees come up, bells, fountains, concrete. A W or an M may come up. I am not sure if any of this helps but I just write what I get. It may not make sence completely until we have some verification but it may describe where Linda may be. I hope something helps I really do. I will look again at the end of summer if this lady has not been found. Tarot cannot guarantee everything it sees, some information can be in the past tense, therefore please be careful when you read . Dee has provided an initial Map below that shows the areas where Linda was connected to and where she went missing. A Texas group is leading the search for a missing Mississippi woman who was last seen leaving a Walmart on April 29. That direction will include a probe into the books at Moore's Fabrications, where Reed has worked as a bookkeeper for 13 years, even spending her work week in a mobile home behind the business. Her permanent residence is in Carrollton. Shannon Reed, owner of Moore's Fabrications, told The Clarion Ledger that Linda Reed had check writing authority for the company, and there may be some money missing from the business. A 65-year-old woman who vanished April 29 may have been siphoning money from the Mississippi company where she worked as an accountant for years, according to her longtime boss. Since she vanished, the owner of Moore's Fabrication said he found discrepancies in her bookkeeping and now fears for his family's financial well-being. Moore didn't return calls from HuffPost and the Clarion-Ledger's report isn't specific about the extent of the potential mismanagement. Owner Shannon Moore said he's brought in an outside accountant to comb through her records and is working with law enforcement to see if she embezzled money. "I trusted her completely there," he told the Clarion-Ledger of the woman who was employed there since 1999. "My biggest concern is their daughter and their future." WLBT-TV in Jackson reports that the family of missing Copiah County resident Linda Reed says the FBI told them she has not been located. In spite of the thick Copiah County foliage, the hordes of giant mosquitoes and the rumor that Linda Reed could be sunning on a beach in Acapulco, there is still a group of family and friends loyal to the missing woman who search every day for any sign of her. There have been new reports coming in that Linda Gale Read has been found. Linda is alive and has been taken into custody. Please read the reports that I have found for the time being. I will update as soon as possible. Meanwhile, Tarot seemed to think that Linda would be found North West and an 8 would be useful. Linda was found in Longview Texas which is North West and the nearby route to Longview is Route 80. As for any other names/areas or exact location I do not know much more at the present time but will match up information as/when it is available to see where/if Tarot has been useful. The sheriff said during a news conference Thursday Reed was working as a bookkeeper in Longview, Texas. She was picked up during a traffic stop. Jones said Reed was using her real name and Social Security Number. Linda Gale Reed had a storage space rented from a mini-storage facility just 500 yards away from where her vehicle was found. Sheriff Jones confirmed that Reed had a storage space at the facility, and it was empty when investigators looked at it. He says it may be another piece of the puzzle in solving the disappearance case. We called the owners of the mini storage. They would not comment on whether the space was emptied just before Reed disappeared. 19 hours ago – Linda Gale Reed has an attorney and may have a court appearance later today. Jackson attorney John Reeves will represent Reed. Her attorney said Friday he wants to get a medical evaluation for Reed because he believes she has some "mental issues." The attorney also said the accounting at Moore Fabrications was done haphazardly. Reeves said he hasn't seen any proof that Reed has taken any money, and Reed wasn't found with any money. Reed was working two jobs, including one at a car dealership. She had also joined a church and was attending on a regular basis, Reeves said. We're learning more about the arrest of a Mississippi woman, who police say faked her own disappearance, and moved to East Texas. According to online jail records, Reed was living in an apartment in the 600 block of Timberline Drive in Longview's Greggton area. NB Interesting to note where Linda was found. North West of Longview and just North of Route 80 known as W. Marshall Ave. I also note Lake Harris nearby and Cook Lake (eating/drinking ref:) A tree name could be Timberland Drive. Tarot has named a 'G' area in our first card and seems to have picked up bits and pieces in all three cards. I note she is being returned to Mississippi . There may be other news to come in order to piece together more of the Tarot and I will report back on this so that we can see how Tarot has linked things together. Please bring in a psychic. I have now posted Tarot for Linda, hope it helps. Thanks you so much. I am not a member of this family, but my sister-in-law is. I have been wanting them to call in a psychic so bad. Thank you and God bless you for your insight. I will always answer requests whoever they are from and I do hope somehow something in the Tarot helps. I will post it up when you have it Dee, take your time and thank you for doing this. em,you said a,w m she was found in acapulco mexico,with a large amount of cash you said money,metal she worked at a meatal factory. what is going on here? is anyone on here local?that knows for sure if she has been found or not? Linda has not been found. WLBT reported false information. UPDATE: The search for Linda Reed may take a turn today when Shannon Moore of Moore's Fabrication's will be meeting with state and federal law enforcement authorities regarding their books. Linda Reed was the accountant for Moore's Fabrication since 1999, and now the company is worried she may be missing because she took money from the company. According to the owner of the company, Shannon Moore, Linda had almost total control over the business finances, including check-writing authority. "I trusted her completely there," he said. But after Linda went missing, Moore said he noticed discrepancies in his books. He decided to call in local authorities to look over the books also. Her Boss should be the one thats being looked at for answers. This has been a total cover up from the word go. She was a scapegoat. ‎10/25/2012: Linda Gale Reed missing since 4/29/2012 was located in Longview, Texas and is ▬►IN CUSTODY. A woman reported missing seven months ago in Mississippi has been found in Longview, and she's headed back in handcuffs. Linda Gale Reed, 66, reported missing April 30 after her GMC Envoy was found in a wooded area on Interstate 55 near the south Crystal Springs exit. Surveillance video showed Reed at a Walmart in Hazlehurst the previous day, Mississippi authorities told television station WAPT. Her purse, cellphone and keys were found inside the vehicle, which was not damaged. A $10,000 reward had been offered in her disappearance. We're learning more about the arrest of a Mississippi woman, who police say faked her own disappearance and moved to East Texas. Linda Gale Reed was arrested Thursday morning. She was wanted not only for faking her disappearance but also for embezzlement. In an exclusive interview, Reed's co-workers say something was just not right about the woman who was taking care of their books. Joe Walton was in need of a bookkeeper for his business, Walton's Automotive, and had a friend recommend Linda Reed for the job, but it came with a hitch. "I couldn't do a background check simply because she was in the process of a divorce from an abusive husband and she was hiding from him," Walton said. Reed set up shop in Longview, and by all accounts, was doing a very credible job. But, she was hiding something. "The largest red flags were the fact that her kids had disowned her in this process. We always suspected there was a story there that maybe we weren't hearing," Walton says. Hired as a contract employee, Reed had access to accounts and the company safe... holding thousands of dollars. "We deal in large amounts of money. We could have been in a world of trouble," Walton said. One of Reed's co-worker's, Lori Bess, was training to take Reed's place. "Things just didn't add up. Things she mentioned to other employees weren't the same things mentioned to me," Bess said. Bess said she went home and Googled Linda Reed and found a lot of information on the internet. Then, Bess called the authorities. "I would have never thought she was capable of staging this. We were stunned. We were shocked. We apologize to the family. We were not harboring her," Walton said. Last week, Reed was listed as "wanted" after thousands of dollars were discovered missing at her former Mississippi employer. "We do know there is over $20,200 missing out of the petty cash fund," said Copiah County Sheriff Harold Jones. For Walton, it's a huge relief that Reed was discovered. "I could have been hung out to dry by Miss Reed," Walton said. now if she stole this money why did she need to work two jobs? Reed was denied bond in her initial appearance in Copiah County Justice Court Friday morning. She is accused of stealing more than $20,000 from her employer Moore Fabrications in Copiah County. 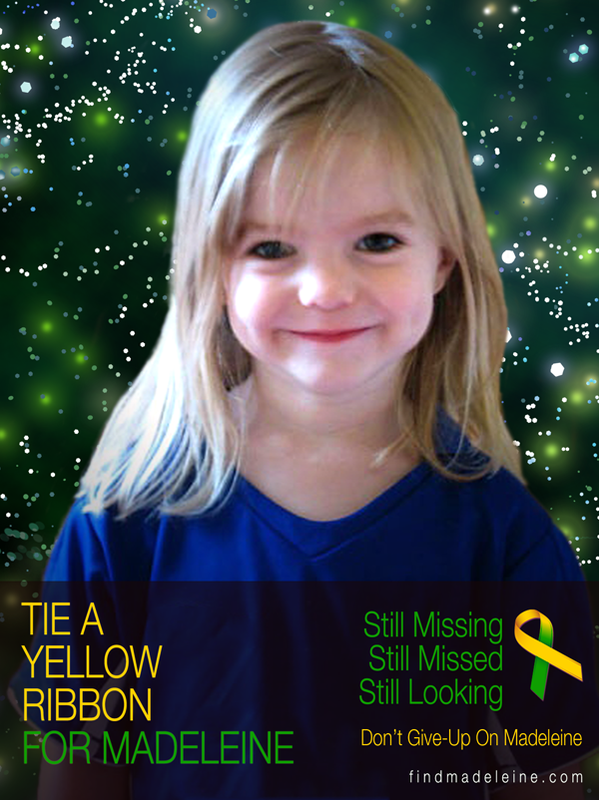 Reed had been missing since April 29. She was picked up during a traffic stop this week in Longview, Texas, where she had reportedly been living.